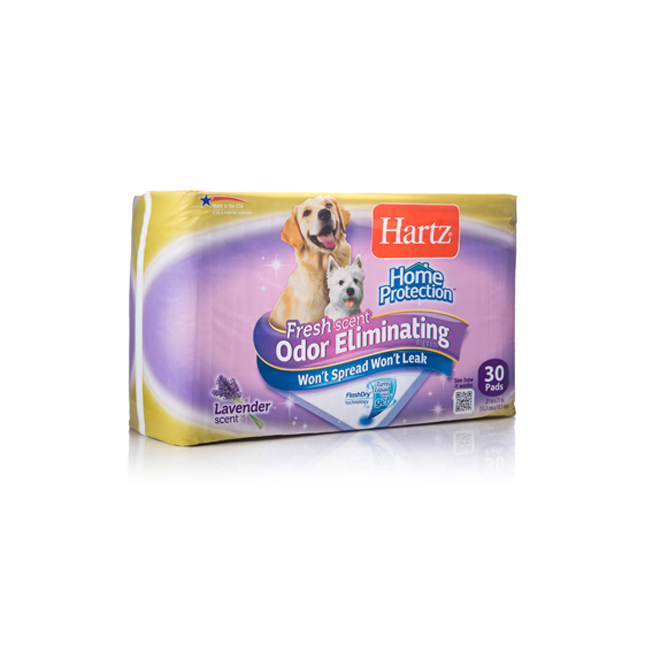 Coming home to pet messes is not how anyone likes to unwind after a long day, which is why we set out to create the ultimate dog pad. 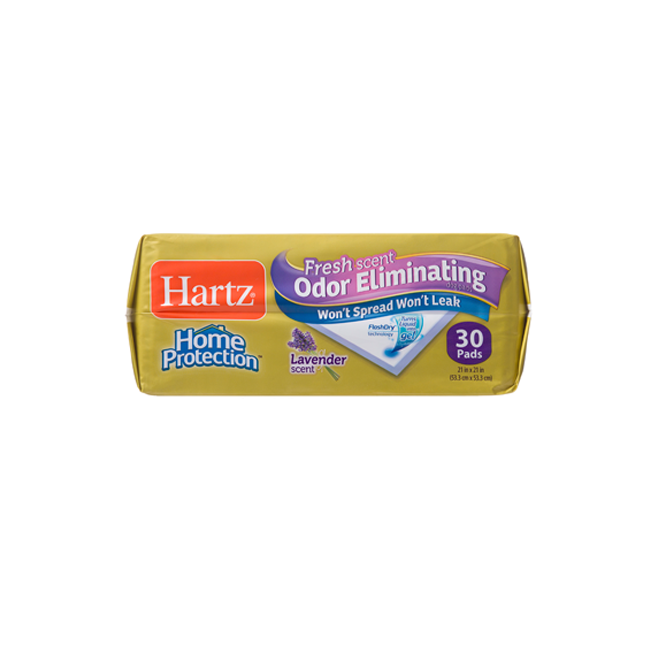 The Hartz Home Protection line of training pads make clean-up simpler, pad replacement and disposal easy, and safeguard flooring from unpleasant accidents. 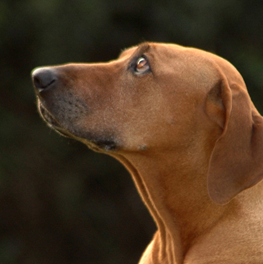 Excellent for dogs living in homes with limited access to the outdoors, senior pups with restricted movement, puppies in training or sick dogs, Home Protection has you covered at every corner. 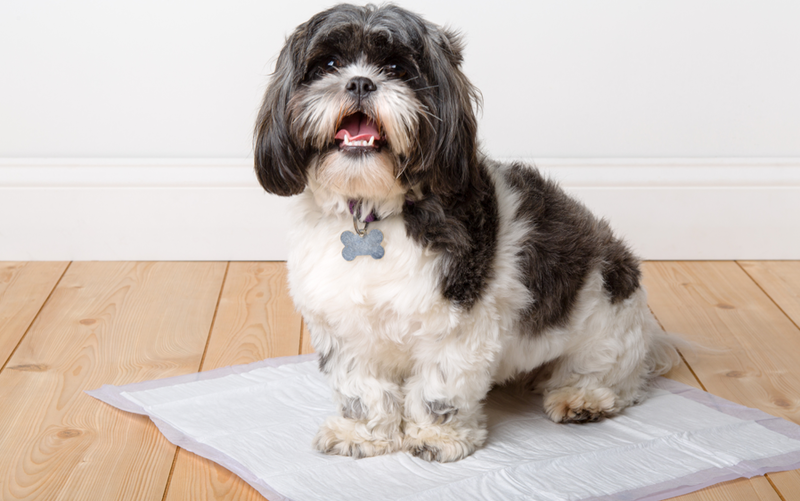 Our absorption experts analyzed urine distribution and designed a pad with 6 layers, containing our patented Flash-Dry® technology which creates a smaller urine spot and allows for multiple uses per pad. When nature calls, Home Protection instantly turns urine into gel to reduce tracking and make clean up a breeze. 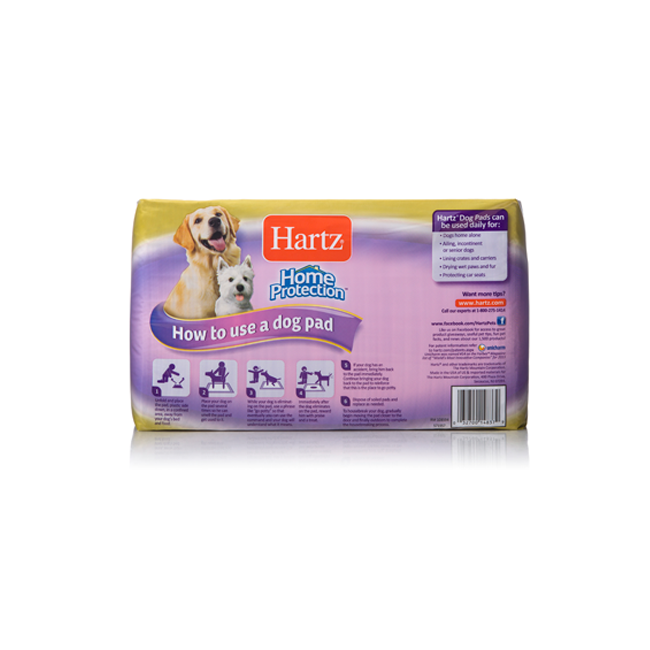 A water-proof plastic backing and borders ensure our pads won’t leak or spread. 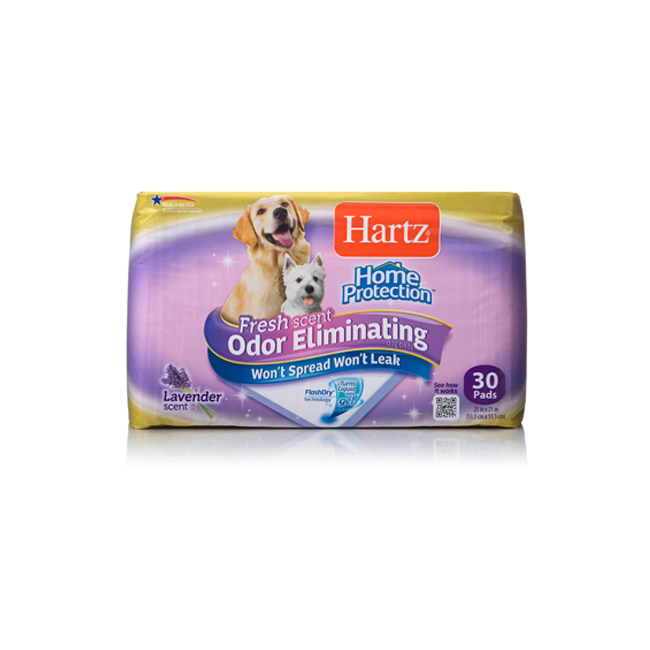 The special odor eliminating capability within all our lavender scented pads traps and neutralizes stinky smells left behind, turning eww to phew. 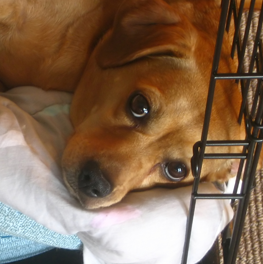 Spring is one of the most popular times of year for dog adoption, which isn't particularly surprising if you take a look outside. 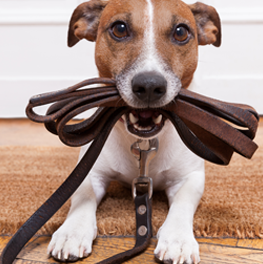 Whether you send your dog to school or train him at home, consistency is the key to good behavior.